All of our RO’s are custom built by us. The size of the system depends on water demand (required gallons per day). 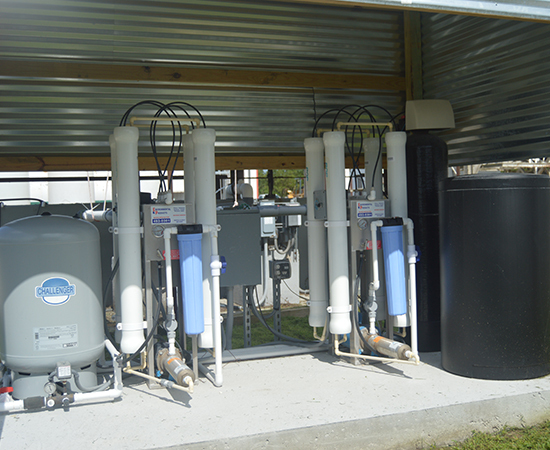 There are units that produce 1800 gallons per day (GPD) to 7200 GPD. Larger systems can also be built. Your well water is forced through membranes (very fine filters) under high pressure to separate minerals, bacteria, virus, salt, and chemicals. 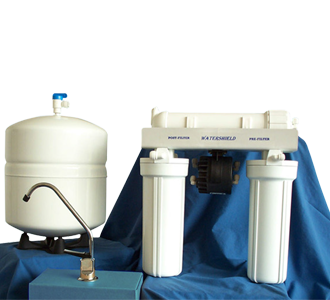 High total dissolved solids (TDS) and salt intrusion can be transformed into clean, clear drinking water. We have systems that make seawater into drinking water. 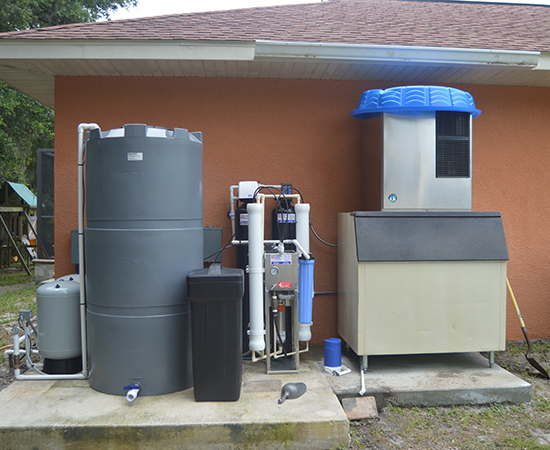 If you have a bad well or your location only produces bad water or salt water a Reverse Osmosis system can make drinking quality water for you. If you want bottled quality water throughout your house then a RO is the way to go. If you want bottled quality water for cooking and drinking but don’t need it throughout the whole house a undersink RO can supply water to your refrigerator and ice maker, and also to a separate faucet at your sink. There is a two gallon storage tank so you can fill a pot or a gallon jug for cold water or iced tea. 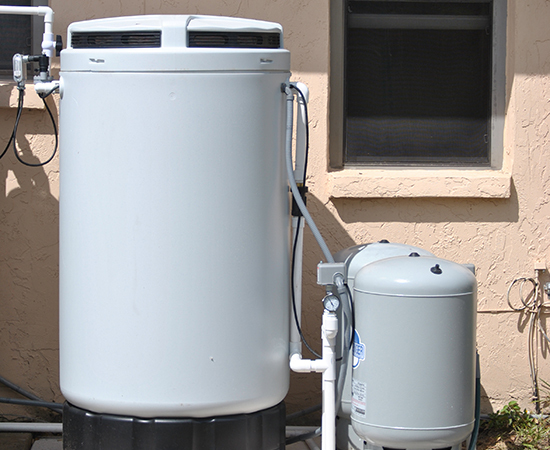 Water Softeners remove the minerals that cause spots and stains (hard water). By softening the water you can improve the cleaning ability of soap and cleansers used during bathing, laundry, and other household chores. Soft water will extend the lifetime of appliances and fixtures in your home. You will use less soaps and it will be easier to clean. 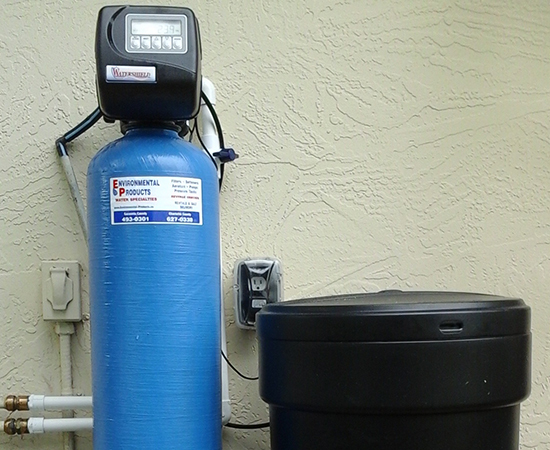 We can custom build softeners to remove yellow (tannic acid) from water. A mixed bed softener can get rid of that nasty chlorine from city water and soften it at the same time. 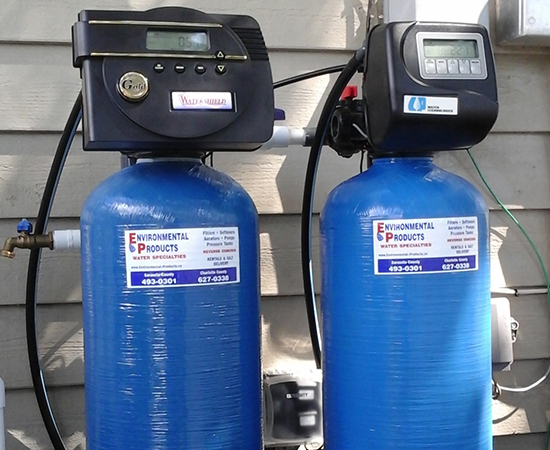 We use metered controls on our softeners that are set to your average usage (gallons per day). This way the salt used to clean the minerals in the softener is not wasted, and your money is not wasted. There are many different types of water filters. Small point of use (POU) filters to large iron and sulphur filters for the whole house. We can recommend the best type of filter for your problem water. Another way to remove sulphur is our air injection filters. We have one to remove iron (rust stains) also. They are custom built for your problem water. The filters trap air in the filters tank and oxidation occurs. The oxidized elements are removed by a special mixture of different medias depending on what type of water problem you have. These filters are very effective and efficient. 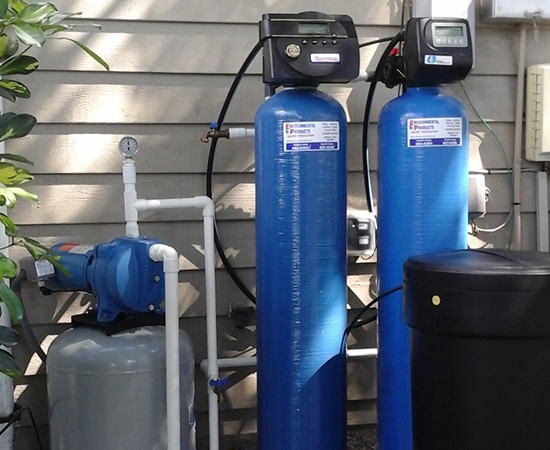 The system requires only the well pump, not two pumps like are used with an aerator. They take up less space too. Open loop filters used for the removal of Sulfur. We work on and have all types of water pumps. 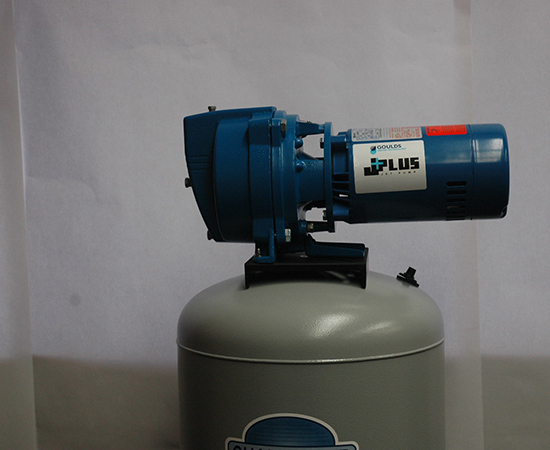 We have house pumps (jet pumps) and submersible pumps in stock. We also have booster and high pressure pumps and motors for RO systems. For constant pressure needs we have variable frequency drive (VFD) controllers. Irrigation and pool pumps too.